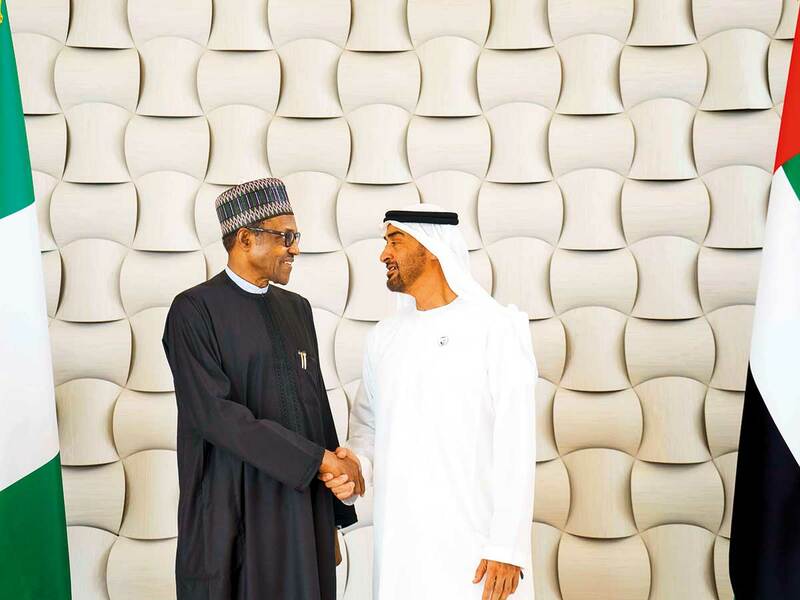 Abu Dhabi: His Highness Shaikh Mohammad Bin Zayed Al Nahyan, Abu Dhabi Crown Prince and Deputy Supreme Commander of the UAE Armed Forces, on Tuesday discussed bilateral relations with President of Nigeria Mohammadu Buhari. Shaikh Mohammad and President Buhari also discussed friendship and cooperation and ways to boost them, as well as other issues of mutual concern. During the meeting held in Abu Dhabi, the two leaders reviewed promising opportunities and possibilities of developing their bilateral relations across many vital economic, development, investment and agricultural sectors. The talks also touched on the latest regional and international issues, especially those which concern both countries. “The UAE, under the leadership of President His Highness Shaikh Khalifa Bin Zayed Al Nahyan, is keen to expand and diversify its relation with all friendly countries based on principles of trust, mutual respect and mutual cooperation, in a manner that serves the interests and aspiration of peoples and ensures a better future for generations to come,” Shaikh Mohammad said. “The UAE is also keen to develop its relations with Nigeria and extend bridges of cooperation in the best interests of both nations and peoples,” he further said. Expressing his happiness at visiting the UAE, Nigerian President stressed his county’s interest to improve mutual cooperation with the UAE and support both countries’ sustainable development. Concluding the meeting, both leaders stressed the importance of building on their countries’ relations through supporting all aspects of cooperation, especially in light of having promising resources in the economic, industrial and investment fields.